This entirely month, I have been debating what I should post here as the first post for 2018. So let's start with a recipe of something Jo and I love dearly, shellfish. I think it is pretty obvious that Jo and I are very into seafood. Shellfish particularly; we absolutely love it. That is why, I could not pass on trying out lobster tails when I see them on offer. It's not very huge, but just the right size for a simple dinner to wrap up 2017. 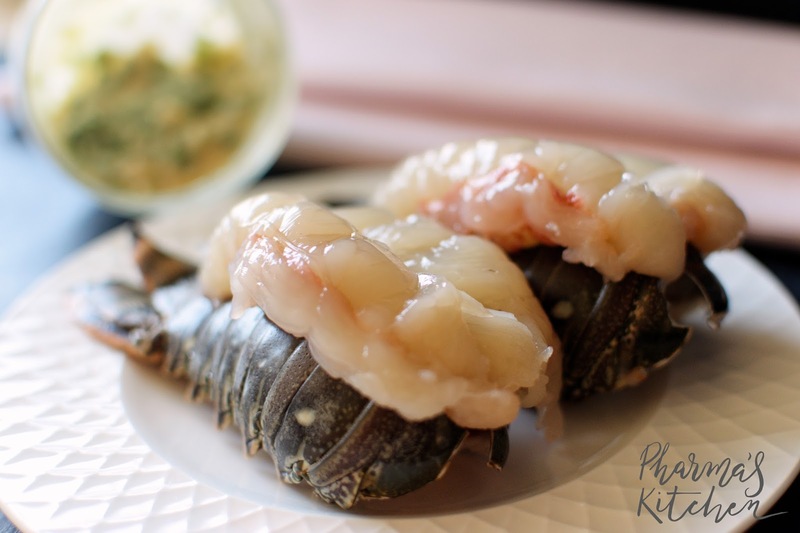 The thing about shellfishes, especially like prawns and lobster, they are already very flavourful on its own, we do not need to do much to it. So here is a simple recipe for our beloved oven-baked lobster tail. 1. 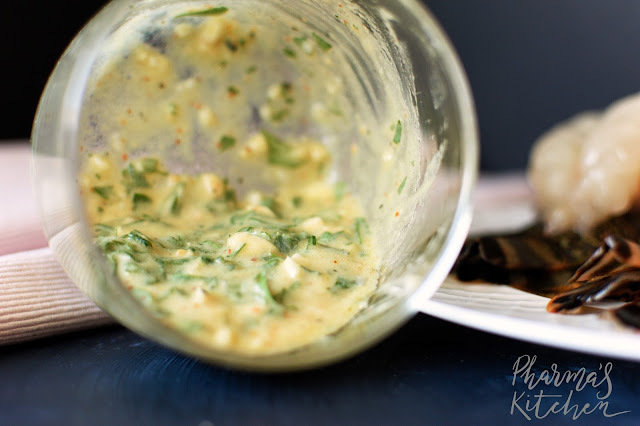 Mix the Dijon mustard, garlic, parsley, extra virgin olive oil and lemon juice in a small bowl or a large glass. 2. Add in the tiny pinch of chilli flakes just for a bit of heat. After mixing, season it lightly with salt and pepper. 1. Cut through the center on the top shell of the lobster tails with a kitchen scissors, stopping at the base of the tail. 2. Using the same scissors, snip through the flesh of the lobster tail along the line through the centre of the shell made earlier. 3. Remove any veins if present. 4. 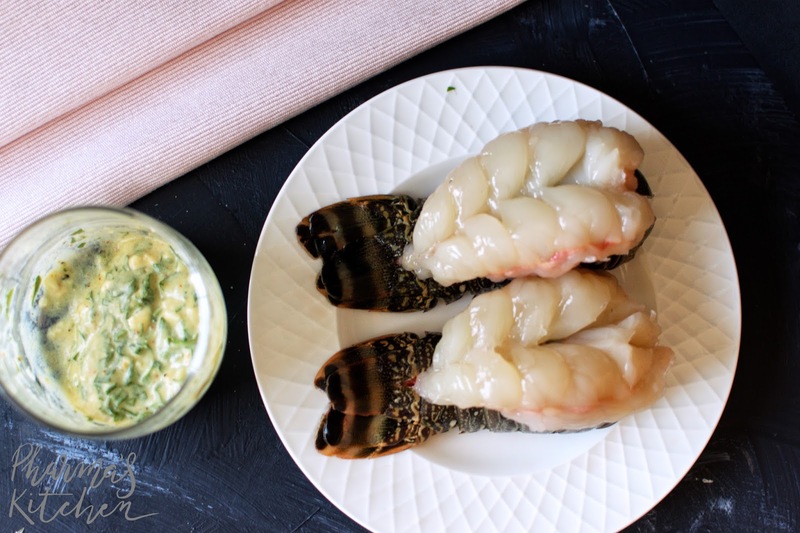 Push and separate the flesh out of the lobster tails by pushing gently from the bottom of the lobster tails, but leave the meat attached at the base of the tails. 5. Lift the meat and place it on the shell. Here is photo of how it might look like. 6. 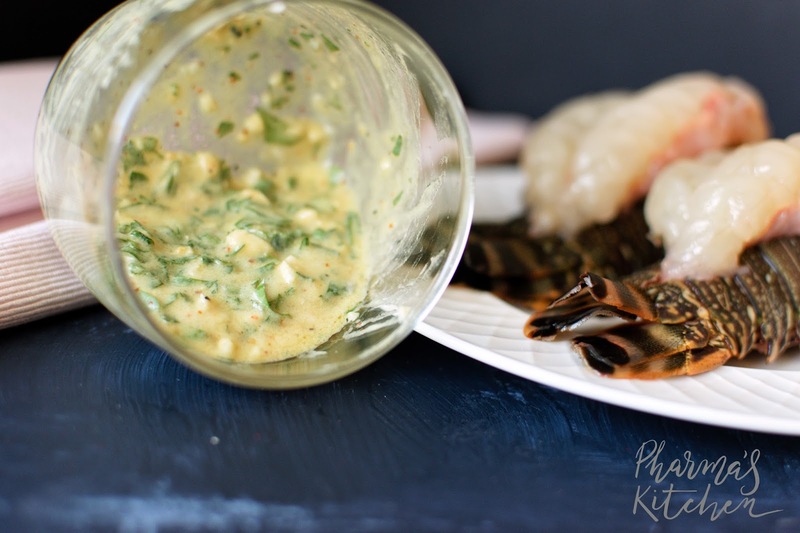 Brush the marinade/"dressing" prepared earlier on the lobster tails. 7. 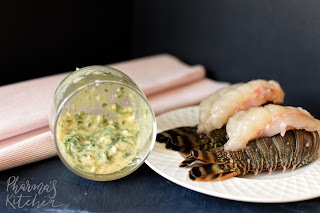 Place the cut one cut of butter on each of the lobster tail. 8. 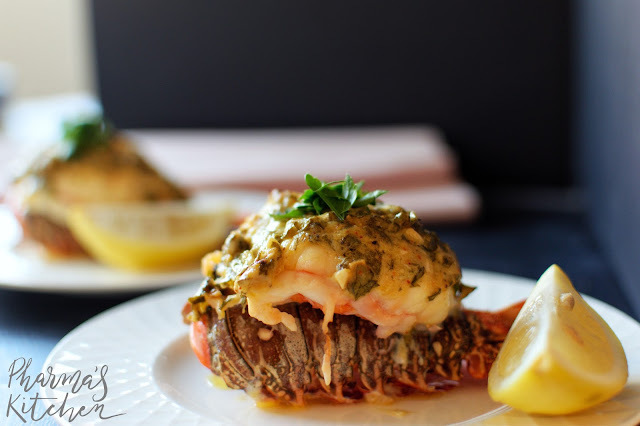 Bake the lobster tails in a pre-heated oven at 2200C for 10-15 mins, or until the butter has completely melted and the shells turned orange/borderline brown. 9. 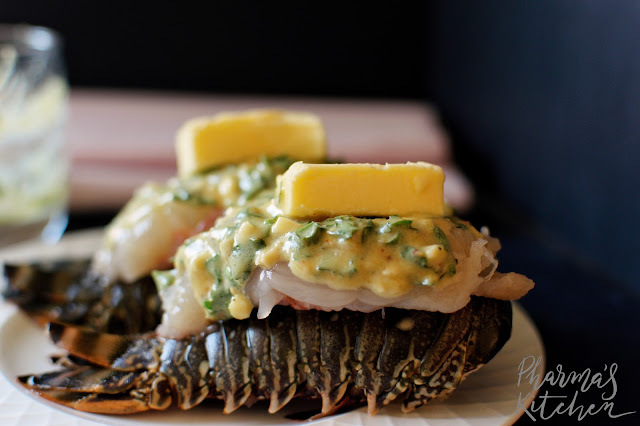 Garnish the lobster tails with a sprinkle of finely chopped parsley and serve it with a small wedge of lemon.